Loyd Hanks is a Western Shoshone from the Duck Valley reservation his family came from both Paradise Valley, NV and Reese River, NV. Loyd talks about how he became a crew chief in the U.S. Air Force as part of a jet engine mechanic crew, and how he also worked on a missile crew during the Cuban missile crisis involving Russia. He also speaks and honors previous Native American military men, and also pays tribute towards the different Native American code-talkers during the various wars involving the U.S. He also speaks about how the culture helped these individuals survive the turmoil of the wars, and moreover gives advice to the younger audience relaying that learning and preserving the culture is vital and worthwhile. Non-commercial scholarly and educational use only. Not to be reproduced or published without express permission. All rights reserved. Great Basin Indian Archives © 2017. 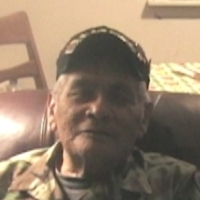 Great Basin Indian Archives, “Loyd Hanks - Oral history (04/16/2014),” Digital Humanities of the Great Basin at Great Basin College, accessed April 25, 2019, https://humanities.gbcnv.edu/omeka/items/show/409.